This Mumbai University textbook seems to have a ‘high-spirited’ explanation for an abstract problem! Education, undoubtedly forms an important part of everyone’s upbringing. While our schools and colleges have more or less made sure we get a holistic understanding of our lessons, many of these concepts that were foisted upon us in class actually boggled our minds. This was in spite of our teachers’ efforts to simplify and make us understand the lessons better. 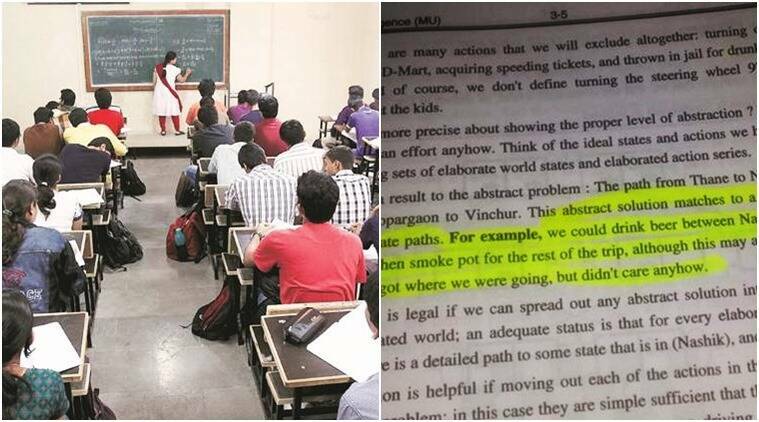 But it seems, a Mumbai University textbook reportedly took ‘simplification of concepts’ a tad too far and had a rather unusual explanation of ‘Artificial Intelligence’. For the uninitiated, artificial intelligence is the development of computers and similar systems to perform tasks that normally require human intelligence. This includes voice and speech recognition, visual perception, decision making, etc. While indianexpress.com could not independently verify the existence of the said book, if it’s true, there is no denying that it’s one out-of-the-box way to teach kids! 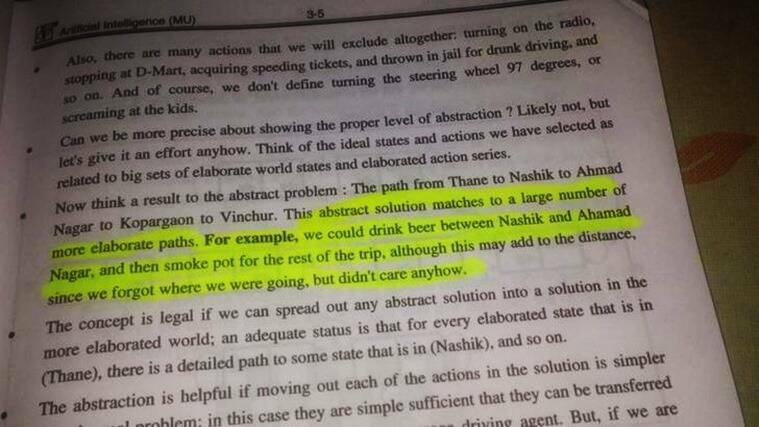 This Mumbai University textbook seems to have a 'high-spirited' explanation for an abstract problem!